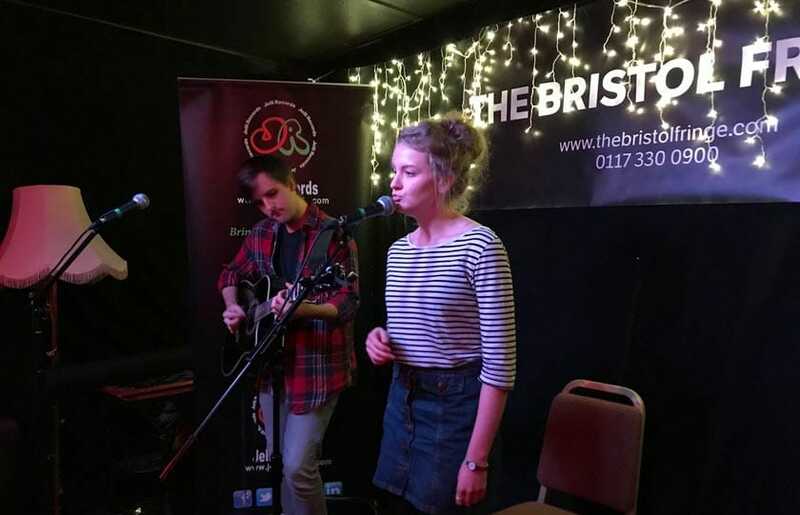 Few cities in the UK rival Bristol for its open mic nights. The birthplace of respected artists like Portishead and Massive Attack, Bristol has an incredibly varied and vast music scene. 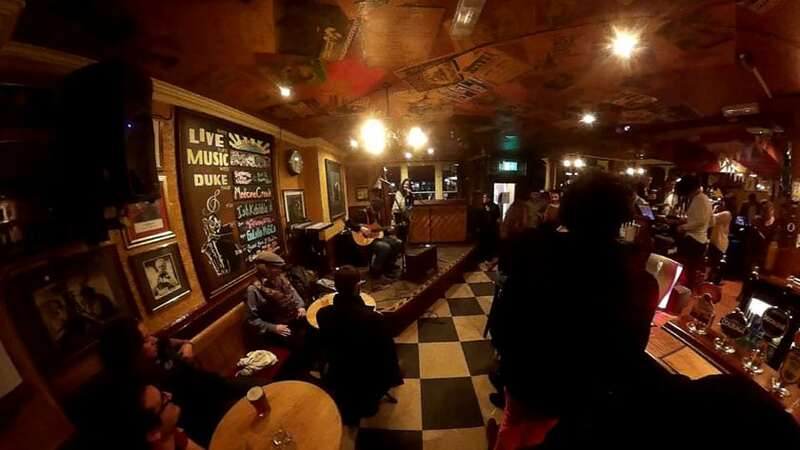 From the world-famous jazz-oriented The Old Duke with its rich history, to more modern hidden gems like The LeftBank Bar, there’s a great selection of bars and pubs for open mic nights that you’ll be spoilt for choice. One of the most venerable music venues in Bristol, The Old Duke is a well-known and well-loved jazz & blues bar in the heart of the city. Named after Duke Ellington, this spot has become famous for its nightly live music. Their well-worn stage has provided a worthy space for both new and experienced performers to show off their music skills. The evening begins with blues superstar Eddie Martin performing a set to warm the audience up. The mic is then handed over to anyone who’d like to impress the crowd. It’s not as intimidating as it sounds (although Eddie is a tough act to follow). All types of performers are welcome and it’s a very inclusive and friendly night. On the south side of the river, The Oxford has gained a reputation as a great venue for live music, with their open mic night being a highlight of the week for musicians in the area. Hosted by familiar face Graeme Moncrieff, they’ve got everything you need to perform; a full PA with stage monitors, stage lighting, house guitar, plenty of mics, and a very supportive audience. The words ‘Time flies when you’re having rum’ is written on a skull and crossbones sign above the busy bar, there’s a motley crew of colourful character and a lively atmosphere. Slots are 3 songs long, and all are welcome to perform. The Rope Walk bar is beautiful bar and restaurant, with flowers and candles on all the tables and an array of artwork and graffiti on the walls (the landlady Annie is well-known on the street art scene and she’s created a very unique space). Welcoming all musicians—from solo performers to bands—for their weekly open mic night, there’s an in-house guitar, bass guitar and a gorgeous baby grand piano all available for use. Drums and backline can be requested in advance. The host is James Dixon and they offer 15 minutes per performer. Instruments provided include guitars, bass, drums, keyboard. There’s also a baby grand piano that’s used for piano and vocal solo or duo acts. There’s always a chilled out vibe perfect for the less experienced musician, and at the end of the night there’s a live jam to wrap things up. 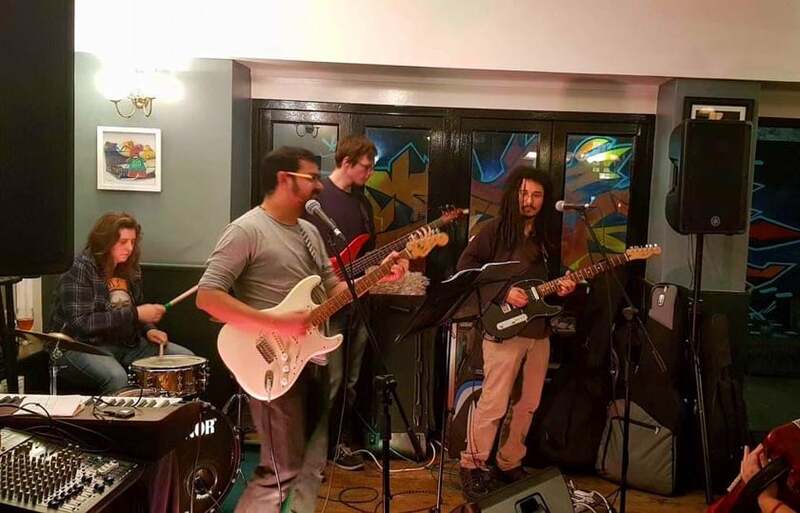 Immensely popular, The Golden Lion has established itself as one of the key music venues in Bristol, with live music on offer six days of the week (a DJ plays on Sunday). Featuring host Jim Davies of The Rin Tins, performers of all levels are invited to step up to the mic. They encourage acts to “Just get up and show us what you’ve got”, from singers, poets and comedians—all are welcome. Full kit set up including an acoustic and bass guitar, a keyboard, drums, and congas. Jamming is encouraged and these nights are a guaranteed good time. The Fringe is a unique music, arts and entertainment venue in Clifton with something on offer seven days a week. This quirky and soulful little bar hosts regular jazz nights and music gigs, and their open mic is not to be missed. Steve Parkhouse is the night’s host, and the normal stage, lighting and PA are provided, along with very generous and attentive spectators, “the audience does listen and you are not just background noise”. Performers are encouraged to bring CDs and any other promotional material. The last Tuesday of the month is a songwriter’s showcase for invited musicians. For a bit of a change from the usual free pint, they offer free food for all performers courtesy of Lucie’s Creperie. Possibly the only open mic night on a boat! Climb on board this converted Bristol barge and discover one of the city’s best-loved gems. Relaxed and friendly, this unique venue hosts a selection of live music in its intimate Hold Bar, with a weekly open mic night held ‘below deck’. Hosted by musician Mike Dennis; whether you’re a songwriter, poet or musician, everyone is welcome. They attract a very mixed crowd and some fantastic regular performers. They are always hospitable to newcomers. This is a great opportunity to meet some of the best players in the city. 15 minute sets and the standard free beer for performers. The LeftBank, a bohemian bar on Stokes Croft with a passion for all things alternative, attracts all the cool kids in Bristol with a wide array of music; funk, reggae, jazz, blues and beyond. 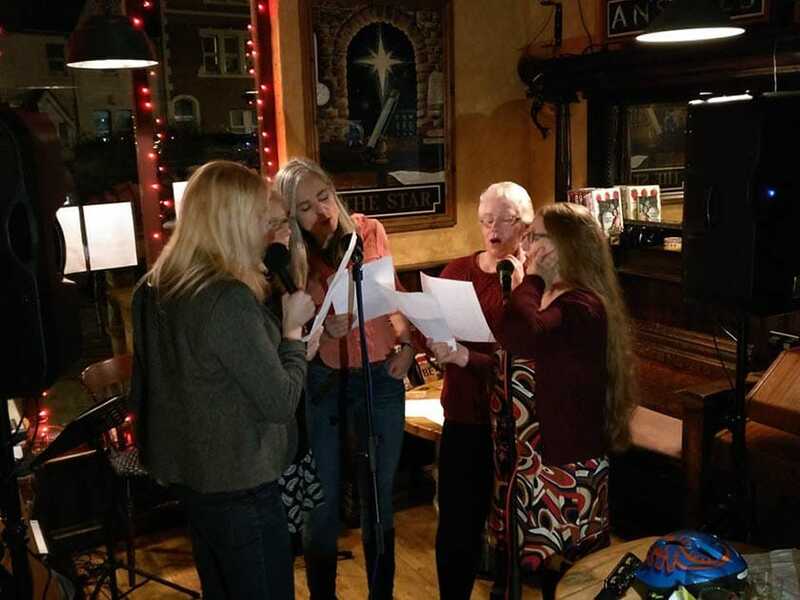 Running for over ten years, their open mic sees singers, songwriters, instrumentalists, poets, and even dancers take to the stage. Hosted by Oliver James Dennison and Tom Egan alternately, house guitars and bass are provided. They encourage performers to bring their own instruments if possible. A great place to try an open mic if you’re new or nervous, plus the regular free drink offer for all acts if you need to settle any nerves. The Kingsdown Vaults (sister pub to The Golden Lion) has been at the heart of Bristol’s music scene, hosting countless live acts and events through the years. Their music policy is wholesome with a focus on folk, Americana, country and blues. Their weekly open mic night has been a central part of the KDV’s events programme for years. Hosted by the fantastic Ben Hopkin (Beyond Rivers) and sometimes Lewis Creaven, they attract some truly superb talent. Several popular singers are said to have performed here before they made it big. You never know where an open mic night can take you. 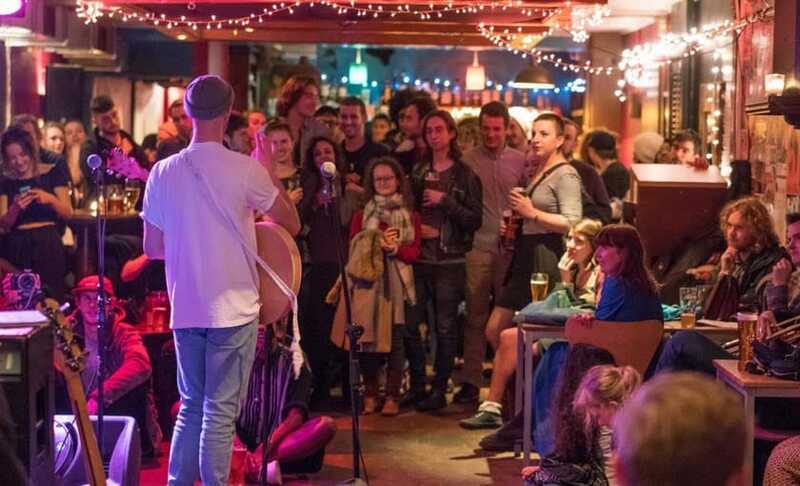 An independent Bar, Restaurant and live music/arts venue, the Galli is a bastion of great free live music in Bristol. There’s a generous blend of Folk, Jazz, Boogaloo, Blues & Alternative sounds on tap. The open mic stage is open to all, Mike Dennis hosts, and they are always scouting for talented acts to book. This could be your shot at a paying gig. This friendly cafe-bar has a lovely, relaxed vibe and attracts a really mixed crowd. All musical styles welcome, they provide amplification equipment and those who give it a go will get a free drink. No need to book a slot, just turn up on the night! Whether you sing, dance, talk, or rap, there’s room for you. Hosted by Harry Harding. The Star is a popular community pub which serves four changing beers, all from small local breweries. 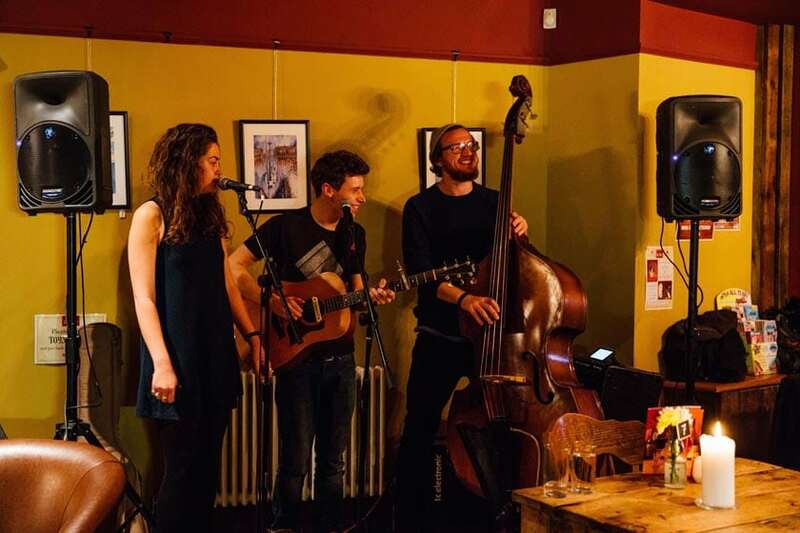 They have a varied and eclectic range of regular live music on offer in a ‘no frills’ setting. Their open mic is hosted by Ben Harrison and the evening has been running since 2017. Open to all female singers and musicians. The nights are very inclusive and there’s a lovely welcoming vibe. There’s a PA and a few vocal mics on hand. Ben’s guitar is available for guitarists if he’s not accompanying. Start time is 5pm, there’s a warmup and social opportunity beforehand. Ben is usually there an hour before to practice song requests. Want to perform? Check their Facebook page or email Ben. This open mic is hosted by musicians Deborah Williams and Neil Hoskins and has been running for over five years. A chilled out monthly night ideal for budding songbirds and experienced pros alike. 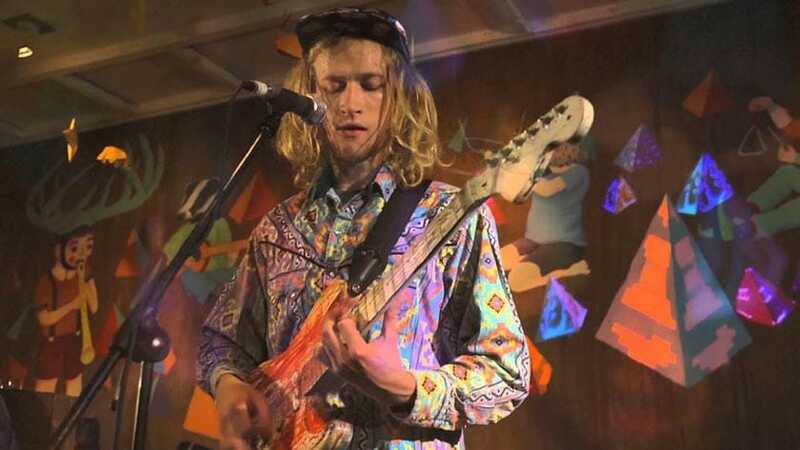 Many talented Bristol musicians have appeared here since it started, including The Busk, Tom Terrell and more. They provide a PA system and all styles are welcome, plus they hire the best acts to perform at their annual Cider Festival. 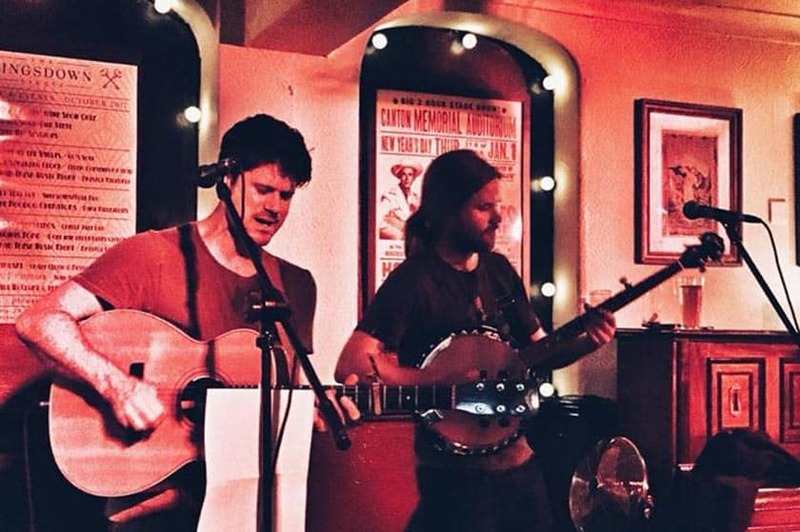 ‘Bristol’s best backstreet boozer’ the Guinea’s is known for folksy tunes, songs and shanties. There’s play on a range of instruments including guitars, mandolins, violins, banjo and flute on show. The Arts House is an excellent performance and events venue right in the heart of the Artisan quarter of Bristol. Their basement space is home to cinema night, life drawing and a fortnightly open mic that’s open to everyone. So now you know where to perform in Bristol there are no excuses to get out there and get performing! Also, if you are interested in heading a little further afield, check out: Dorset Open Mic Nights. Have you considered entering Open Mic UK? Auditions are coming to Bristol!